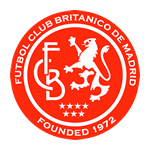 FC Britanico de Madrid are always looking for new players interested in playing in one of our sides. We are able to take on players of all levels, offering a range of competitive and social elements of the club. Players of all levels are welcome as through the range of teams we have, we believe we can offer something for everyone. Please contact us by filling in the form below and we will get back to you as soon as possible.